One of the best things about being on holiday is eating plenty of delicious food. Here at Club MAC Alcudia, we want all our guests to enjoy their food, whatever your dietary requirements. If a guest in your party has food allergies, we’ve got them covered so everyone can enjoy their meals and stay safe on holiday. Club MAC offers three restaurants with a large variety of food. We are actively considerate of our guests with food allergies and will do all we can to assist. Our chefs in the restaurant can advise on ingredients in each dish, identify what dishes contain the element you/your family member is allergic to and recommend what is safe to eat. As well as this, we can prepare fresh food or separate meals for guests with allergies to ensure that they always have something delicious and safe to eat. If you email ahead of your trip, we can make sure that we have alternatives for you to enjoy. This includes gluten free bread and soy milk, so you’ll still be able to indulge in all the foods you love. It’s important to notify others of your allergies, including the people you’re travelling with. All our staff are very willing to help and can make recommendations on where to eat. When entering the restaurant, make sure to tell the maître de of your needs and they will inform the chef. If you require any further help, please talk with someone at reception, who will help you. It is best to give us a warning when a guest with food allergies is staying with us. This helps us to prepare and make your stay as comfortable as possible. 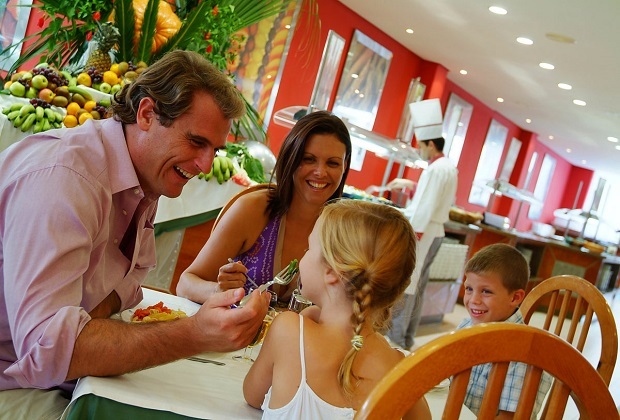 A week before you arrive, we advise you to email dlp@mac-hotels.com to give information of your dietary needs. While we do everything at Club MAC to help guests with food allergies, there are steps we recommend you follow to get full enjoyment out of your stay with us. Communication is key, so make sure you tell us all about your allergy. Bring a kit with all your medication with you, as well as extra copies of your Food Allergy and Anaphylaxis Emergency Care Plan. Although we have a doctor on site, it’s best that you carry your medication for fast reactions. Finally, research is always important, as you need to make sure you know what to do and expect when in a different country. We have all your food needs are taken care of, so there’s no need to worry. You can focus instead on having a relaxing and enjoying holiday here at Club MAC.